This strain is a growers and smokers delight. The flowers when brought to the most ripe form that they have such a distinguishable look and smell, that it leaves a lasting impression on you. With parental lineages Green Crack said to have branched into two genetic lineages, the most common of which is its sativa line descended from Skunk #1. This pheno cultivated by Pink House is anything but and for us, just the right amount of OG. The high from this Indica dominant hybrid strain is a very clear, and functional one. The smell and taste can be described as sweet with slight undertones of OG. Although this strain test with THC %s in the mid to upper teens, potency isn’t everything. Breeding is a project that takes many attempts to get “just right”. The desired outcome and the actual outcome often differ. So we went back to the drawing board and tried again and again until the results were extraordinary. We are now a few short weeks away from bring the next generation of Pink House strains in seed form. They will be available for sale to Colorado Medical patients, at Pink House Denver and Pink House Colorado Springs only at this time. The first offering will be the trusted Papaya (Female) crossed with The White X Lemon Stomper (Male). We have given the name of Velvet Smooth, and WOW! are these phenos zesty! 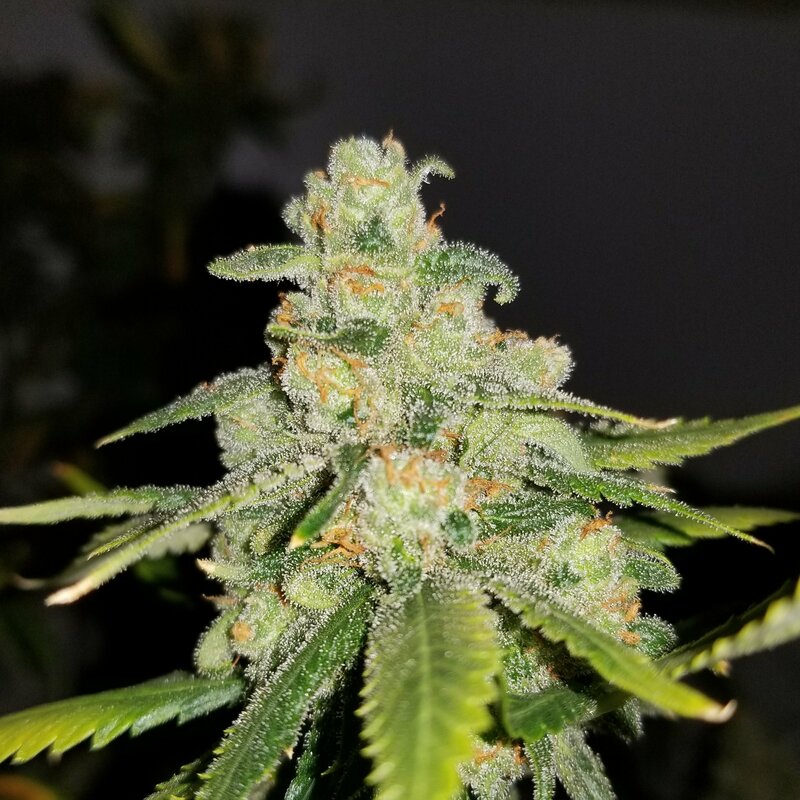 We have been very fascinated with the male to provide strong thc coverage and unique citrus terpenes. And the female has been a Pink House crew, and patient staple since we begin cultivating it in 2014. The female phenos tend to lean more towards the Papaya mother both is plant structure, node stacking, and our favorite terpene profiles. What is not to love about the vigorous growth and potency from seed form.